Golding’s Lord of the Flies. 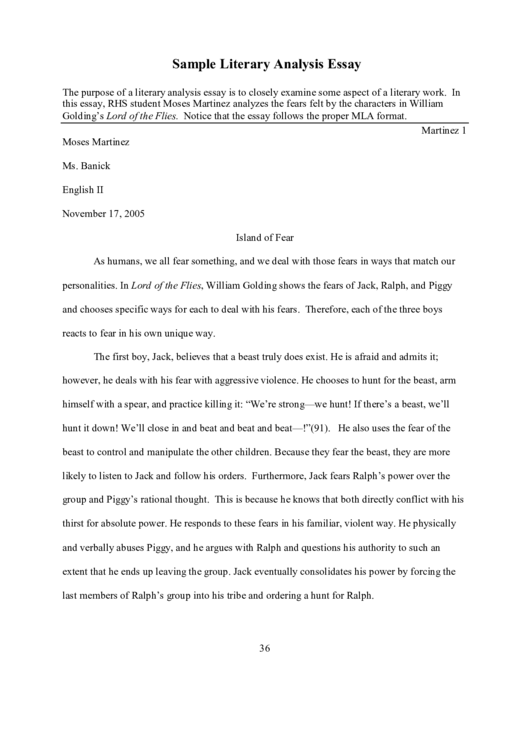 Notice that the essay follows the proper MLA format. reacts to fear in his own unique way. last members of Ralph’s group into his tribe and ordering a hunt for Ralph.